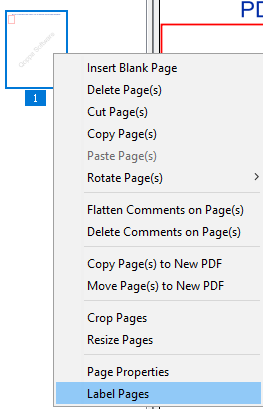 Q: How can I set page labels on PDF Studio? 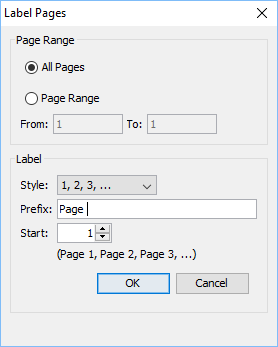 A: Starting in PDF Studio 12 (Pro), you can set page labels on the document. Page labels allow you to set distinct names or numbers that can be different from bookmarks or standard page numbers. For example, you can renumber pages using lower case roman numerals (iii,iv,v,vi) for a Preface at the beginning of a document. Page labels can be styled using various numbering styles including prefixes. 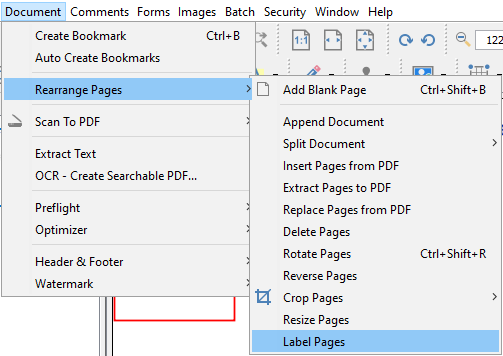 Page labels can be applied to a single page, a range of pages, or all pages.